Knowing how to choose a moving company that best supports your needs is the key to having a successful move. Between finding reliable moving companies, comparing quotes, and choosing the moving company that’s right for you, the process can be stressful. To help simplify your move, follow our guide on how to choose a moving company. It will answer all your questions. To get you started, check out this video which outlines the six simple steps for choosing the best moving company for your needs. Whether you’re moving long-distance or locally, the search for a reputable moving company should be your first priority. Securing the moving company that fulfills all of your moving needs at the right price is no easy feat. To avoid moving headaches down the road, focus on moving companies who are recognized for their best-in-class customer experience. Here is how you can get started when choosing your moving company. We recommend beginning your search for a moving company as soon as you know the approximate date you’ll be moving. The sooner you start the better but aim to book your moving company at least a month in advance. This obviously isn’t possible for every move, so as a rule of thumb, start your research as soon as you know you’re moving. There are many websites that promise to deliver best-in-the-business moving companies, but not all websites and tools are created equal. Updater Certified Moving Companies, on the other hand, are hand-picked, first-rate moving companies located across the country who are ready to help you pull off a stress-free move. These moving companies have been pre-vetted, meaning all the hard work has been done for you so you can focus on completing your list of moving tasks. An in-home or online estimate provides you a quote based on your quantity of furniture and other household items. Homes that are two bedrooms or larger typically require an in-home estimate because they help moving companies provide more accurate quotes. While it’s helpful to budget enough time to compare three estimates, if you’re moving on a tight schedule don’t worry. In a pinch, narrow your search to Updater Certified Moving Companies and reserve a company that works for you. If you want to learn more about binding and non-binding estimates and other moving terms, reference our complete list of moving terminology. The moving company’s reputation - Look for information such as the number of years the company has been in service and the number of moves the company has completed. You can also check a moving company’s official complaint history and safety records with the Federal Motor Carrier Safety Administration. You can check to see if the moving company is registered with the FMCSA by checking to see if they have a USDOT number. You should also be aware that there are some items moving companies won’t move. Ask about your moving company’s policies for appliances such as refrigerators, ice machines, and washing machines and any associated fees. 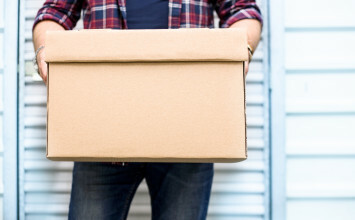 In addition, here are some other common items moving companies won’t move. Your experience during the estimate - Whether you’re inviting a moving professional to your home for an in-home estimate or working with a moving company online, you should consider the estimate as a test of your moving day experience. Your representative should be informative and prepared to answer any of your moving questions. Here are some questions to ask your moving company. Make sure you’re prepared for your estimate by taking an initial inventory of your furniture and by prepping questions for the moving professional. Here is a complete guide to help you prepare for your in-home estimate. 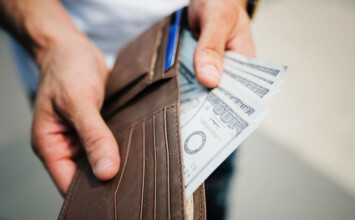 Your quoted moving cost - Before you choose your moving company, it’s helpful to have an idea of how much your move will cost. Reference these industry averages for both local and long-distance moves to get an initial idea of moving prices. 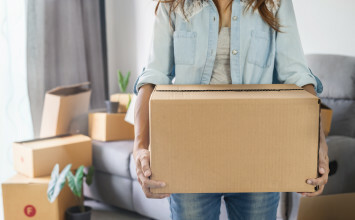 Your final moving cost will ultimately be determined by factors such as the size of your home and the distance of your move, so your actual moving cost may vary. Once you have a quote that includes any additional services and a moving date, you can directly compare moving companies. There are additional moving expenses such as packing services, moving insurance, and tipping that will impact your final price. You should compare all moving companies and quotes based on the same set of services. Customer reviews - Online reviews are a great way learn about a moving company, but they should be taken with a grain of salt. People who were unhappy with an experience are more likely to leave reviews which can skew results in a negative direction. While reviews are worth a look, they should serve as only one factor regarding how you choose a moving company. Whether the company is an Updater Certified Moving Company. The company’s track record based on reviews, complaint history, and safety rating. Moving services that will help you complete your move such as packing or crating. Service for local or long-distance that require warehouse storage. Overall customer experience from online or in-home estimates. Availability on your preferred move date. Though they don’t happen often, moving company scams are possible when using moving companies that haven’t been properly vetted or certified. Here is how you can avoid moving company scams. Finding a reputable moving company should help relieve moving day stresses instead of adding to them. 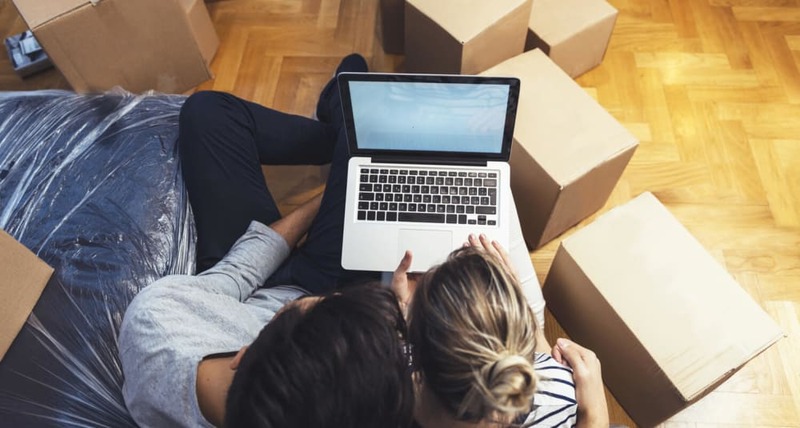 By starting with a great selection of moving companies to choose from, doing a little research into their service, and comparing their final cost you’re armed with a formula for a stress-free move. Now that you know how to choose a moving company, you should feel confident that your moving day will go off without a hitch.